If anything can go wrong with your garage door, it will when you least expect it. But we're ready to respond. So call us and we'll fix it. Our installers and repair technicians are trained to meet high standards of excellence. We'll address your security issues, openers, motors, remotes, dented garage doors, broken springs and more! Dispatched from our warehouse to Federal Way and other communities, technicians provide free estimates at your location for garage door replacements or repairs (after-hours estimates, emergency and out-of-area quotes may be subject to a fee). The products we use are top quality so that hopefully you won't need to see us again for a long time. We use brand names for parts, openers and new doors. Some of the big names are Northwest Door, Liftmaster and Genie. Broken torsion springs, located at the top of your garage door, can be a huge concern for safety. Serious injury could result from novice attempts at replacing tightly wound garage door springs. Our technicians are trained to bring to your site the knowledge, skill and special tools to safely replace broken garage door torsion springs. Call us today at 253-269-4118 for a free estimate. If there is a problem with your garage door, don't wait. The problem could get worse. After you call, we can schedule the next avilable technician to your location for a free evaluation and job quote (emergency, out-of-area and after hours subject to a service charge). Call 253-269-4118 for details. We serve a multi-county Puget Sound region of Washington state along the I-5 corridor, including Tacoma Garage Doors, Olympia Garage Doors and Centralia Garage Doors and more! 1. Periodically test the balance of your door. 2. Make sure the door is closed. 3. If you have a garage door opener, use the release mechanism (top of door with red tag) so you can operate the door by hand when doing this test. 4. You should be able to lift the door smoothly and with little resistance. It should stay open around three or four feet above the floor. If it does not, it is out of adjustment. 5. 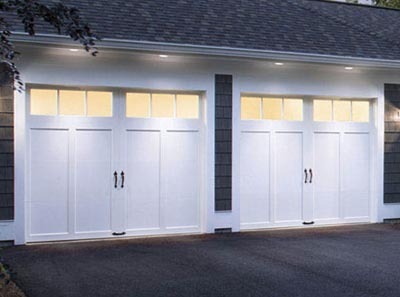 To have your garage door adjusted by our qualified technician, call us at 253-269-4118.